If you love mindlessly fun action comedies than The Hitman’s Bodyguard is a movie for you. 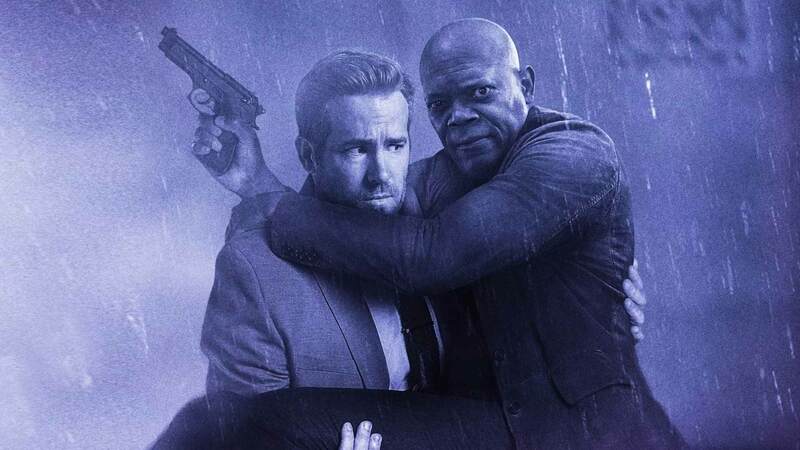 Samuel L. Jackson and Ryan Reynold partner up in this 90s style buddy action flick, and their chemistry is its saving grace. The helplessly romantic hitman “Jackson” and the once triple A rated bodyguard “Reynold” have different views on morality, with both believing they are the hero in the story. Both engage in a hilarious and violent race to get Kincaid, the hitman, in court to testify against the genocidal former President of Belarus, Vladislav Dukhovich, played by “Gary Oldman”. Usual and transparent suspense happen in the law enforcement, which ads almost nothing to the movie’s simple plot. The witty comebacks could’ve been a great addition to a good script that The Hitman’s Bodyguard lacked, but thank God for Samuel L. Jackson’s MF bombs for making this bearable. The nature of political realism and mindless murder in the streets does not blend well, it raises a lot unintentional view on morality that the movie couldn’t explain. Reynold’s character saving his ex-girlfriend, an Interpol agent, with a bullet in his side is even more unbelievable than the laughable “Baywatch” worthy CGI. You can watch this movie and laugh without over-analyzing it. It’s flawed but not dreadful. The Hitman's Bodyguard is now in Cinemas. DVD and digital release is estimated in November.